A compilation of decades of knowledge spanning the author's career as a mechanical engineer specializing in heat transfer and thermodynamics in the solar and aerospace industries, this book is instantly practicable. 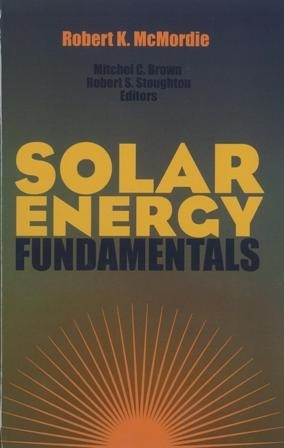 Topics include definitions of energy terms, relationship of the sun and earth, sunlight on the earth, heat transfer, solar collectors, absorbed solar energy, solar domestic hot water systems, solar photovoltaic systems, solar space heating, solar power towers, Stirling engine solar power systems, passive solar energy, and greenhouse solar collector. Appendices cover Carnot and Stirling Efficiency, mathematical techniques for solving heat transfer problems, and case studies. The book includes an Excel®-based companion CD of computations for the reader to readily put the information in the book to practical use.